*Limit of one offer per vehicle. Sample calendar and images as reference. All images shown are for illustration purpose only. Actual product may vary. While quantities last. Pricing and availability subject to change without prior notice. Installation/Services by appointment only. 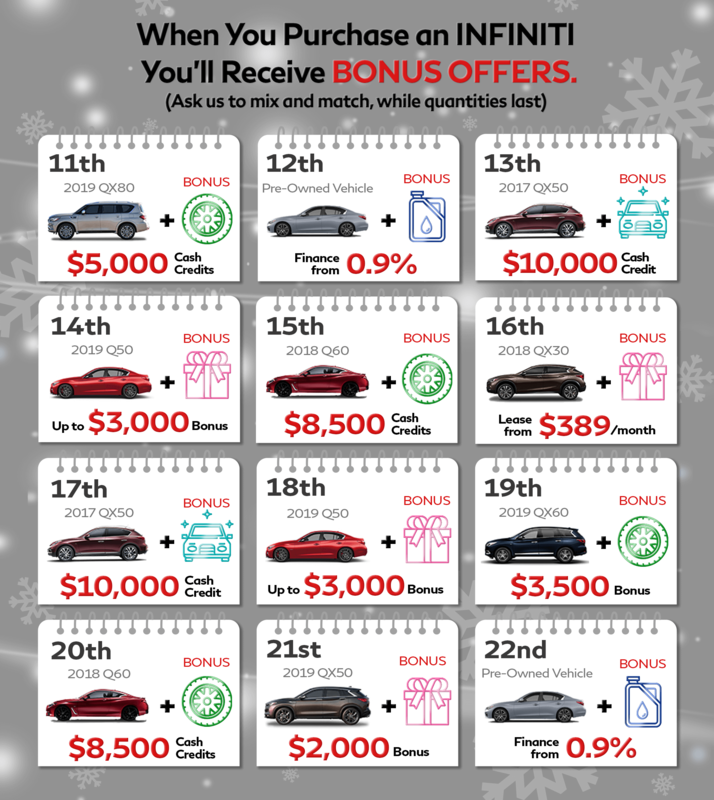 Bonus offers must be purchased at the same time as the vehicle purchase. Visit us at 9200 Bridgeport, Richmond (map), call us at 604-231-9378 or book an appointment now! **By submitting my information, I will grant permission to Cowell Auto Group to market to me, and contact me in the future. Note: Cowell Auto Group does not share, or sell, any information to third party vendors. You may unsubscribe at any time.